A value-priced, all-manual flash with a built-in radio and a real warranty? Yeah, I’m interested. Today, a first look at the new Phottix Juno. At $139.95, the Juno’s price, warranty and built-in remote puts it right in the wheel house of many Strobist shooters. Whether it is right for you will probably depend on how you prioritize features and controls. 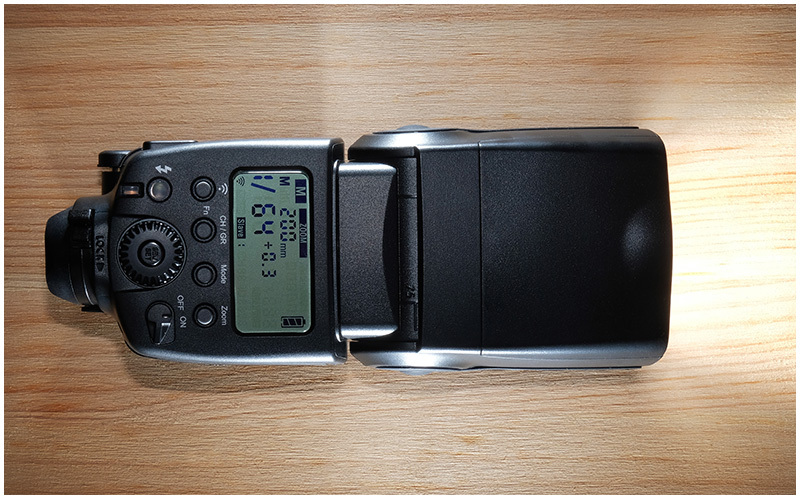 In short, the Juno is a well-built, reasonably-priced manual flash with a quality built-in remote. Significantly, it is backed by an outsized warranty. 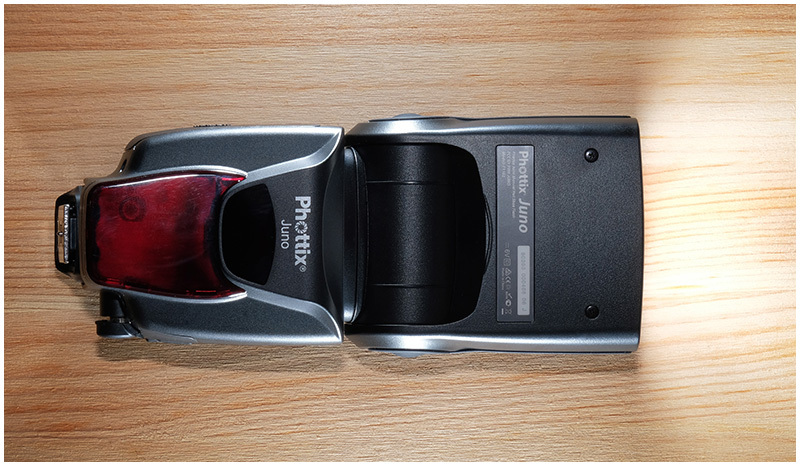 Phottix offers a 2-year warranty on the Juno, which is twice as long as even the top-tier OEM flashes. So if there is a quality problem with the flash, it is on them rather than you. To be sure, the Juno includes some nice touches. The front fresnel lens gives zoom coverage from 20mm-200mm, which is very thoughtful. There is a flipover auxiliary panel that will get you out to 14mm if you need it. There are also the expected features, including a head that swivels 180 degrees in each direction, built-in slave (never buy a flash without this feature) and lever-locking hot shoe, etc. Tested recycle time for full-power settings was ~4 seconds for NiMH rechargeable batteries. A little slow for AA’s, but there is a (Canon-flavored) high voltage port should you need more speed. The built-in remote transceiver is of course the standout feature for the Juno. The included remote is both transmitter or reciever, and operates on both the Ares II and Stratos II frequencies. First Look: Phottix Juno posted on Strobist.com on October 31, 2017 3:26 am .